It wasn’t about the logo, it wasn’t about his clothes, the color, or the accolades. It was about the way the music made you feel. It’s a sad day for all the music lovers around the world who’ve ever had a special moment to a Prince song. In my 10+ years as a DJ, I would be hard pressed to think of a time his records didn’t light up a room when I needed the vibe to pick up. He was an inspiration to his fans not only for granting us these times, but also for the determination, resilience, and work ethic he demonstrated in public appearances. A friend of mine recently posted a short clip on facebook of him being interviewed where he says, “I don’t get played, people that try to play me, play themselves.” Amen. Designers often remind clients that a brand is not a logo or a name – it’s everything you do and how others perceive it. Actions speak louder than words. Prince schools us in this lesson. In 1993, Prince was fed up with his label, Warner Bros. They wanted him to release fewer CDs so he wouldn’t flood the market and they could better promote him. He couldn’t get out of his contract, but he could change his name to an unpronounceable symbol, largely to mess with them. Journalists started to call him “the artist formerly known as Prince,” but in 2000 he went back to Prince when his Warner contract expired. Did his fans flinch? No way. I talk to a lot of people about branding. This mythical ability to persuade people that you are what you say. In my presentation deck there are two slides that feature him. 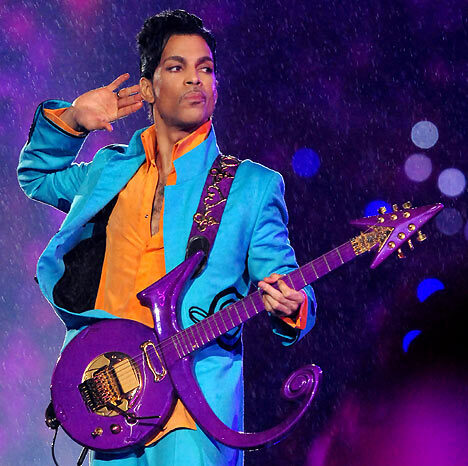 Prince was my example for someone that packaged their essence and walked the talk in such a confident way that your mental image and feeling for him was visceral, unmistakable, and incomparable. What he taught us is that authenticity, passion, and courage are the true ingredients for uniqueness and emotional connection in an identity. And with that – do you, beau.